 Jess has been a member of the YO STREET ZONE crew since 2017 and is one of our very talented female Panna Players. She has been passionate about football since she was young. Whenever Jess is on the ball, watch out for her impressive skills or she will panna you in no time! Jess is also mum of 3 boys, her eldest son Ralph is also part of our crew.